Hellboy director and gaming fan Guillermo del Toro has revealed that he has a "big deal" to make videogames with a "big company." In June, del Toro announced that he was pulling out of The Hobbit, which he had been set to direct, saying that the long, unstable production schedule was beginning to conflict with other commitments. He didn't go into details, but perhaps this one of those commitments: A move from the cinematic arts into videogame creation. "One of the things we're announcing in the next few weeks is a big deal with a big company. 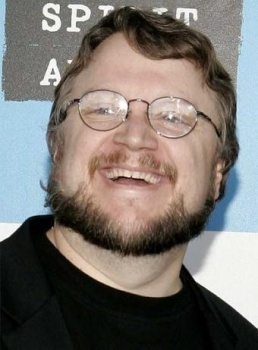 We're going to do games that are going to be technically and narratively very interesting," del Toro recently told MTV. "It's not a development deal. We're going to do it. We're doing them. And we're going to announce it soon enough." He declined to get into specifics, saying that the "big company" in question "would probably shoot me in the head" if he spilled the beans now. But it's fun to note that last year, del Toro claimed there would be no videogame tie-in to The Hobbit movie because taking on both projects at once would be "too ambitious." With the film no longer on his plate, is it possible he'll be at the helm of a Hobbit videogame after all?